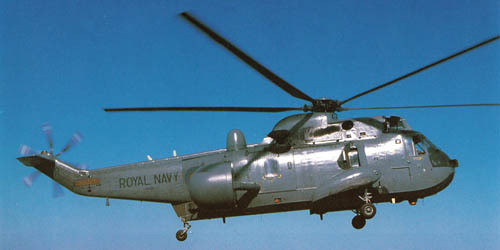 Flying the Sea King AEW, easily recognisable by its rotatable external radar dome, 849 Squadon was part of Ark Royal's early warning system providing early detection of incoming threats. 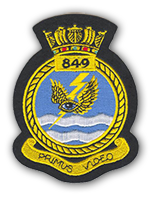 Below is a list of 849 Squadron personnel embarked in HMS Ark Royal in 1988, as published in 'HMS Ark Royal Commission Book February 1987 - December 1988'. As this pre-dates the introduction of women at sea in the Royal Navy, the entire squadron are male. SURG LT CDR Waugh P.J.